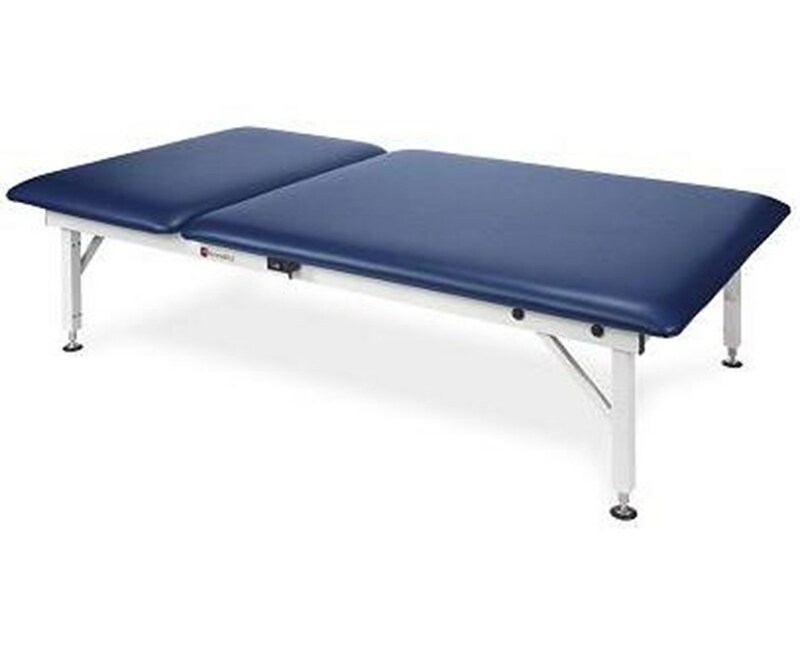 Armedica Electric Hi-Lo Mat Treatment Table delivers a perfect combination of exceptional durability and affordable cost. A truly strong construction with 900 lbs weight capacity, adjustable height and stylish design provide a convenient and dependable solution to both physicians and patients. 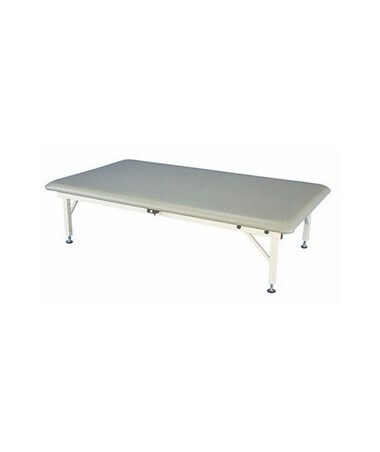 Electric Hi-Lo Mat Platform has been designed with dependability in mind to provide practitioners with the unit they can depend on. The Platform construction features welded steel, tubular frame and legs made with fully finished and burnished welds for extra strength and generous weight capacity of 900 lbs. The Mat top upholstery is made of a heavy-duty vinyl with Permablok 3(R) bacterial protection to help maintain sanitary requirements, promote ease of cleaning and eliminate the risks of cross contamination. A firm density, 2" thick foam padding ensures many years of dependable service and provides the needed support to a patient. In addition, the Table top features a seamless upholstery design and rounded corners that ensure use safety and enhance wear-resistance. The non-skid feet serve for stability and preservation of the good floor surface condition. This Electric Mat Table features a Hi-Lo function. The electric fame is assembled with 120 volts, 60 Hz motor that helps realize automatic height adjustment in a range of 20" to 30" with the use of easily accessible switch control or optional footswitch (AM3408). Importantly, the minimal Platform height of 20" allows accommodating patients of different age groups and with mobility problems comfortably and safely. 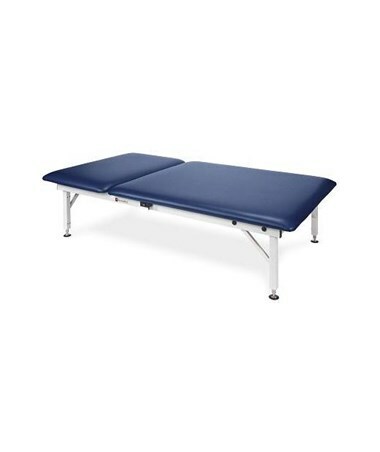 The two piece top Platform model features an adjustable back section. The adjustable backrest features 29 " in length, easily raises up to 80 degrees with the help of a gas spring assist and locks in any position. Armedica offers a great selection of beautiful upholstery colors. In all variations, the vinyl upholstery is treated with a proven protective coating to make the material wear and tear resistant, eliminating staining, scratches or the growth of fungus molds and mildew spores. You are offered to choose among total of 8 basic colors and 3 decorator upholstery colors with extra soft leather feel and hi-loft backing. To purchase your customized Hi-Lo Mat Table, please go to the drop down menu above and complete your online order in a few easy steps. Tiger Medical offers a 30 day return policy from date of shipment for this product, subject to a 15% restocking fee, in addition to the return shipping charges. The product must be in brand new condition and in its original packaging. We take the responsibility to make sure this product arrives in brand new working condition. Should your item arrive damaged, we will replace the product at no cost to you.